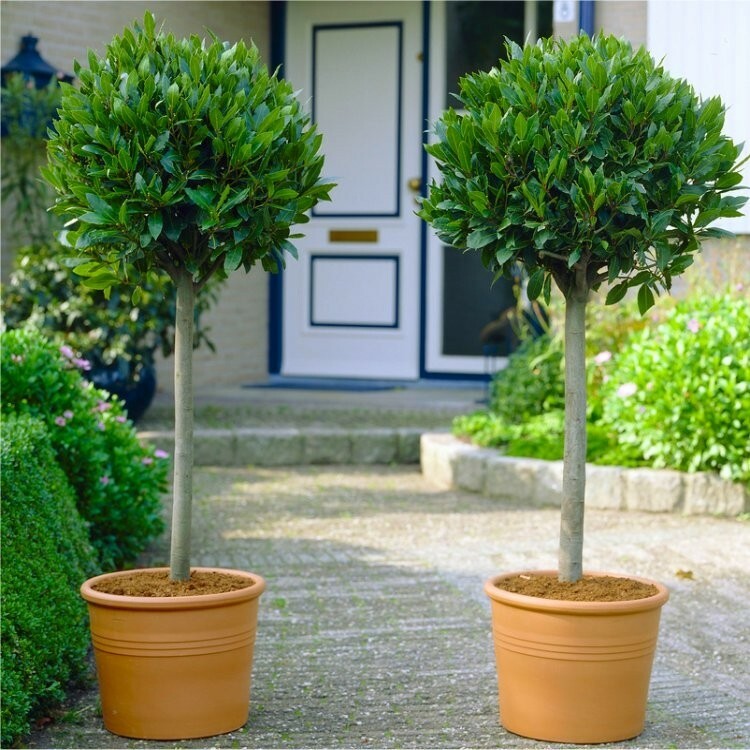 A pair of these fantastic Bay Trees are excellent for flanking a set of steps, doorway or path. Arriving ready to display they would also make a stunning, unusual, and definitely unexpected gift - ready for the lucky recipient to simply position and enjoy in planters of their choice. 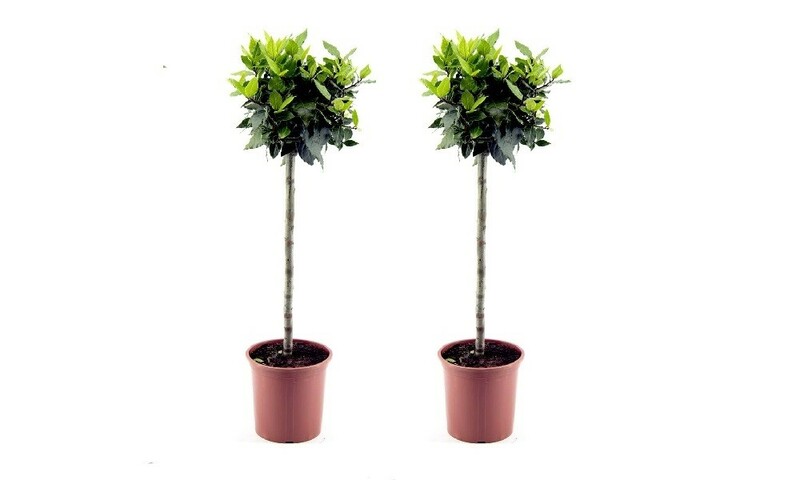 You'll think of many different position in which to use these beautiful Bay trees. TWO strong plants supplied with a 'lollipop' ball of foliage on top of a nice clear stem, with an overall height of around a metre.